Lemax Mulled Wine Stall Table Accent depicts a jolly street seller offering hot mulled wine for sale during the Christmas season, bringing warmth to cold shopping days. Lemax Mulled Wine Stall is suitably placed in and amongst a seasonal Lemax village miniature Winter scene. A Lemax Caddington Village themed collectable piece which joined the Lemax collection in 2014. 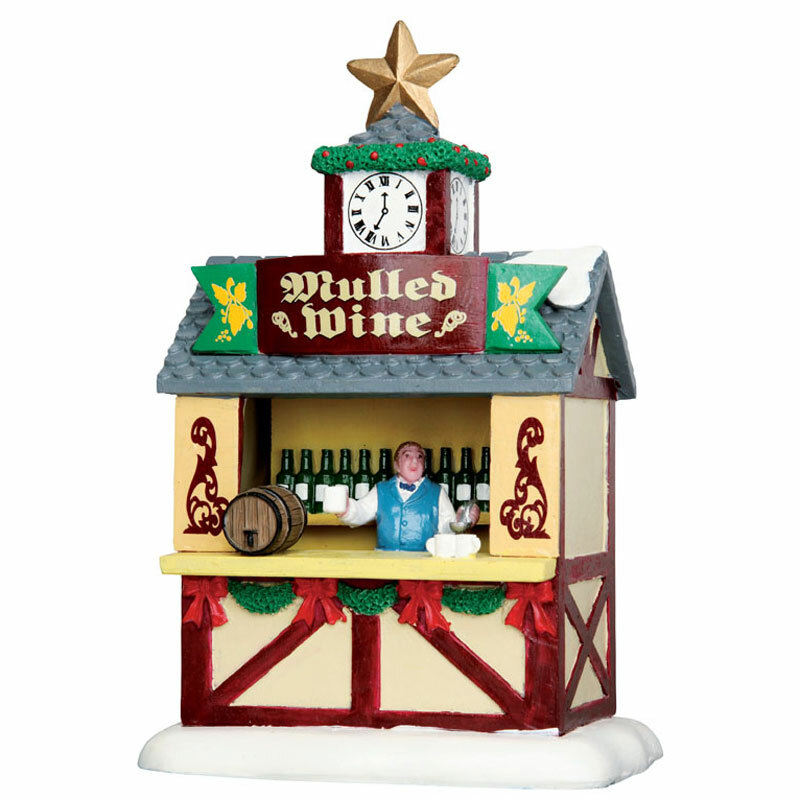 Mulled Wine Stall offers a delightful individual hand painted polyresin piece including figurine on a snowed base to compliment your seasonal Lemax Christmas Village.